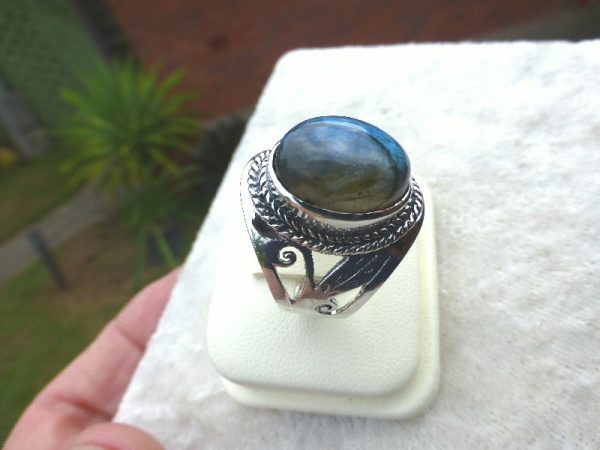 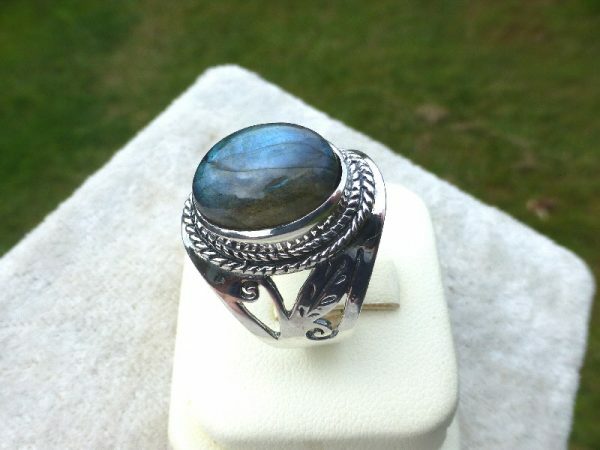 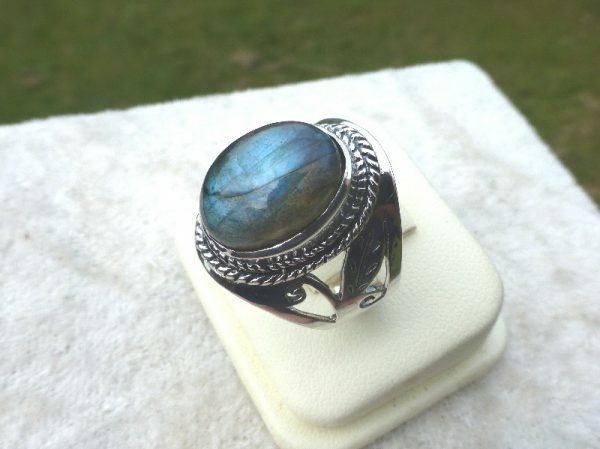 LABRADORITE SILVER RING. 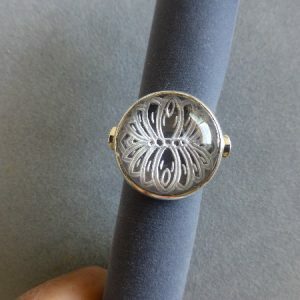 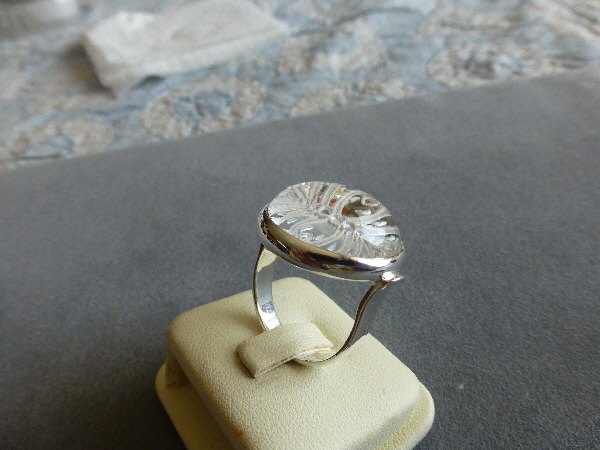 This solidly constructed ring displays cut-out work on the broad shank and a silver-wire style bezel setting. 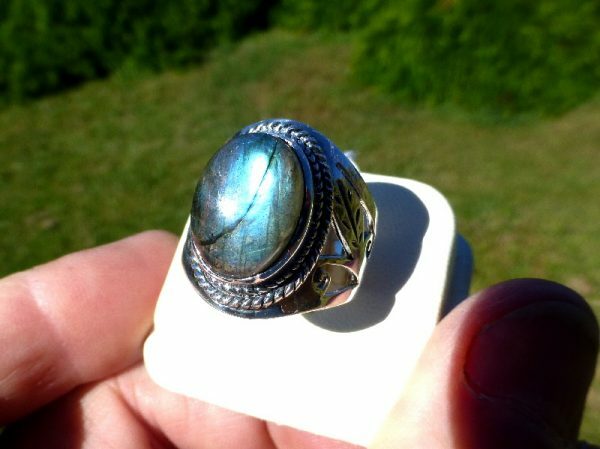 Labradorite is a strong gemstone of protection and spirit. 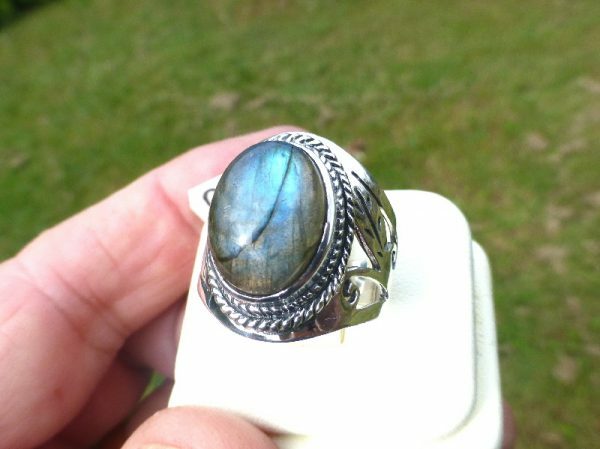 It protects you from negative influences from your surroundings, it can also assist with clarity of mind, in making correct decisions. 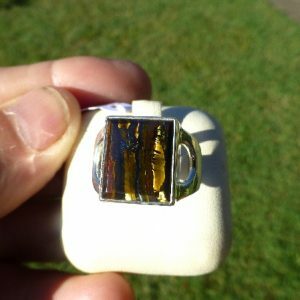 This stone displays Blue flash iridescence and colour variation when light strikes it, as can be seen in the images. 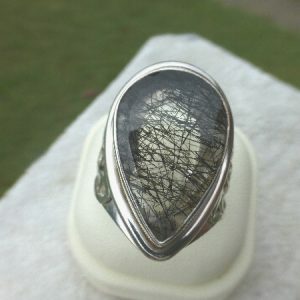 The darker line in the stone is an internal growth line and is neither a fracture or a fault. 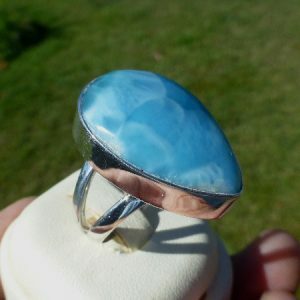 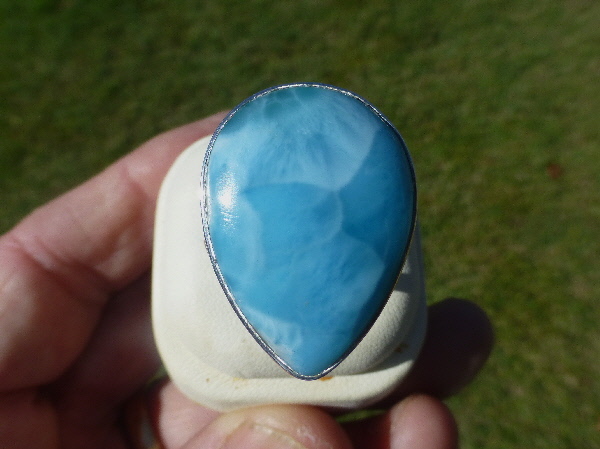 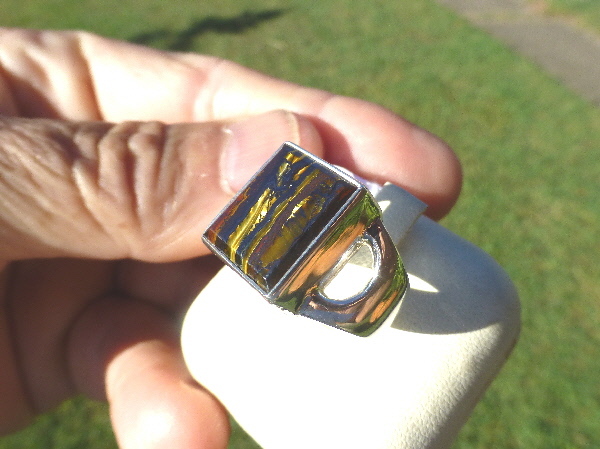 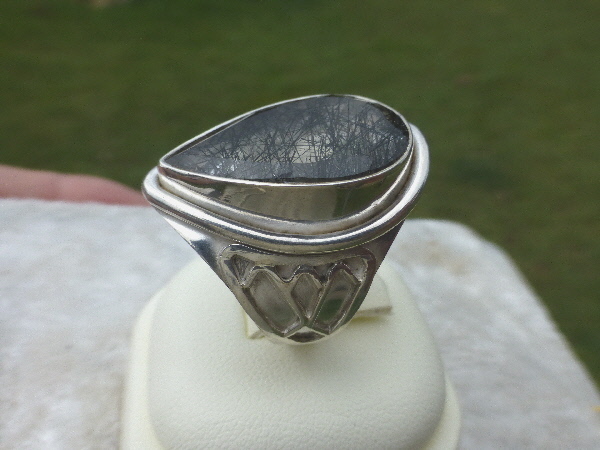 The ring is size 60 (or S).It weights 9.1g and the Labradorite gemstone is a 15mm x 10mm oval.